Calls can only be completed to contacts that are in 'Available' status. Attempting to call a contact whose status is 'Offline' or 'Do Not Disturb' results in an error message. 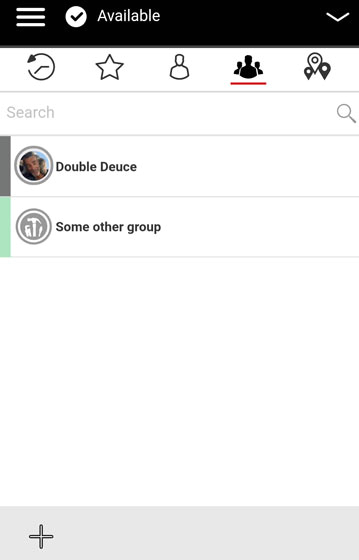 With Group Advanced Feature you can place an 'Urgent Call, that provides a distint tone and is the highest priority call. 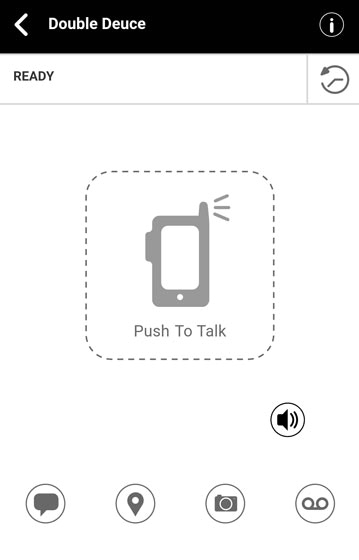 From the Ready screen, touch and hold the PTT icon and wait for the chirp tone (call is connected). The PTT icon turns red, indicating your voice can be heard by the other call participants. Release the PTT icon to allow the other call participants to speak. To end the call, tap End . If a PTT+ call is received while on another call, a Missed Call alert appears. The missed PTT+ call can be returned directly from the alert by tapping Reply. If a regular phone call comes in while on a PTT+ call, you can answer that call and put the PTT+ call on hold.